Previous Clubs: Thatcham Town, Flackwell Heath, Windsor FC, AFC Hayes, Chalfont St Peter, Aylesbury. 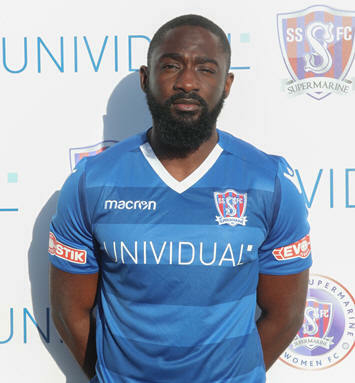 Profile: ‘Babz’ was instrumental in the success of Thatcham Town last season when they won the Hellenic League Premier Division and the FA Vase at Wembley where he was voted man of the match. Now living in Swindon, Babz was previously Slough based and played for Windsor and AFC Hayes. He is a strong defender both on the floor and in the air and will do battle with the best of forwards.